Steel edging sounds like a good idea. Steel is a stronger material than composite plastic benderboard that is commonly used, and has a much thinner profile. 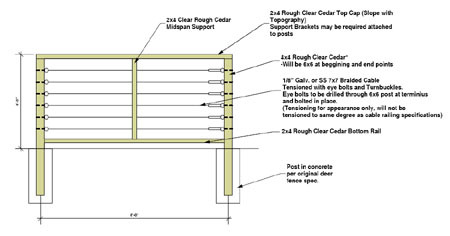 Instead of 2″ thick edging common with composite edgings, most steel edging is 1/8″ to 1/4″ in thickness. The steel also holds straight lines and curves better. While these are certainly advantages, steel edging has one main drawback- rust. Steel edging is powdercoated and usually comes in black, green, or brown colors. Once it has been shipped, handled and buried on the project, the powdercoat is usually flaking off. This results in unattractive rusting edge or profile. Another alternative that solves this problem is aluminum edging. Aluminum isn’t perfect either, it is softer and more easily banged up than steel, but won’t rust. The annonized coloring of the aluminum won’t flake off like the powdercoating on steel edging. This older steel edging had been pulled out of a project. The finish is flaking off and both the edging and stakes show significant signs of rust. Fences are a fairly basic element in landscape construction, but one where we see common mistakes in design and construction. 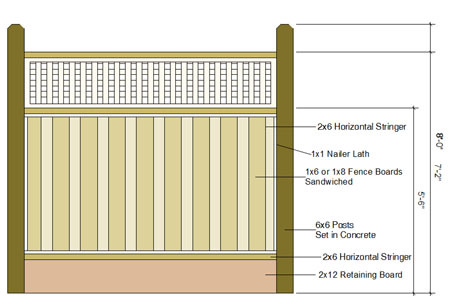 Here is a guide to fence types and ways to avoid common mistakes. Proper construction of fencing really depends on the type of fence being installed. 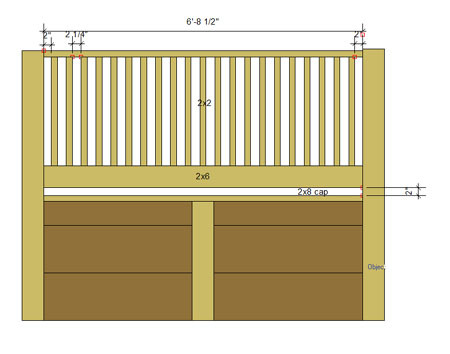 -Fill: Fence Boards, wire mesh, tensioned wire, etc. 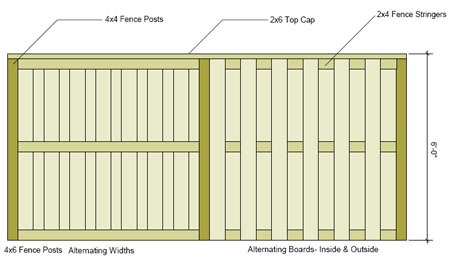 1-Horizontal Stringers: 2×4 boards are the most common stringers used in fencing. These boards typically span posts, spaced 8’ on center. Because wood at this span will have a tendency to sag, it is important that the strongest orientation of the board is used- in this case the 4” side, not the 2” side. Horizontally oriented 2×4 stringers spaced at 8’ spacing will show a noticeable bow over time. 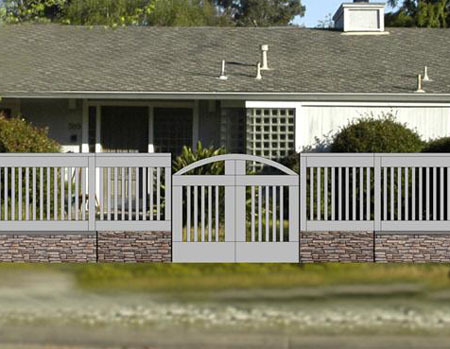 -Insufficient stringers- we prefer 3 stringers for some styles of fence, especially over 6’. There are some fence designs where 2 stringers are insufficient. 2- Poor Posts:If the style will allow, pressure treated posts can be used to help resist weathering. 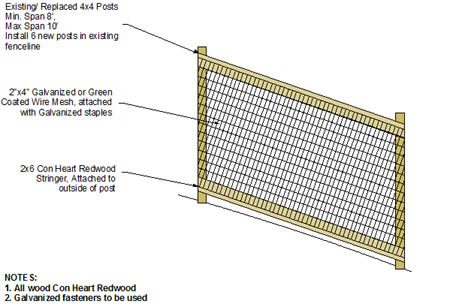 In cases of finished fencing, a decay resistant wood such as redwood or cedar should be used. 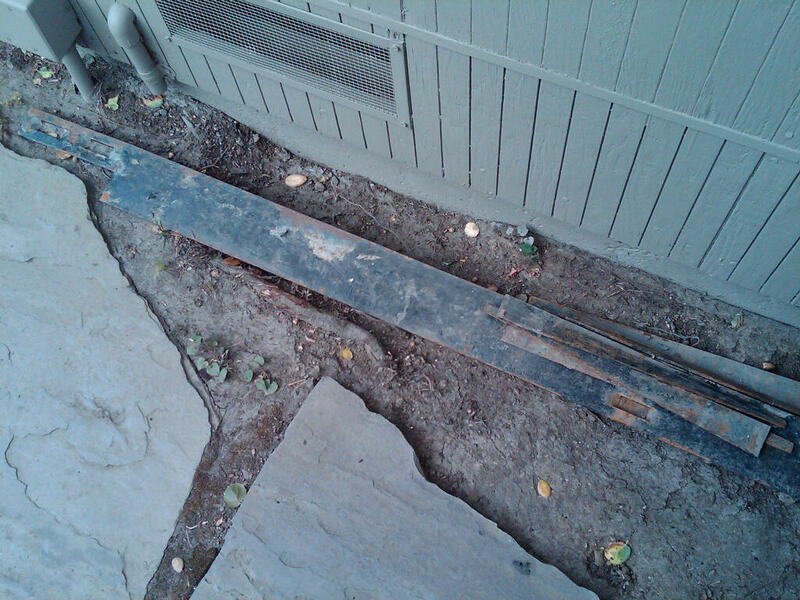 Untreated wood used outside will weather and decay rapidly. Post should be set in concrete, typically 9-12” in diameter and at a typical minimum of 18” in depth, with gravel installed at the base of the base pier to allow water to escape. 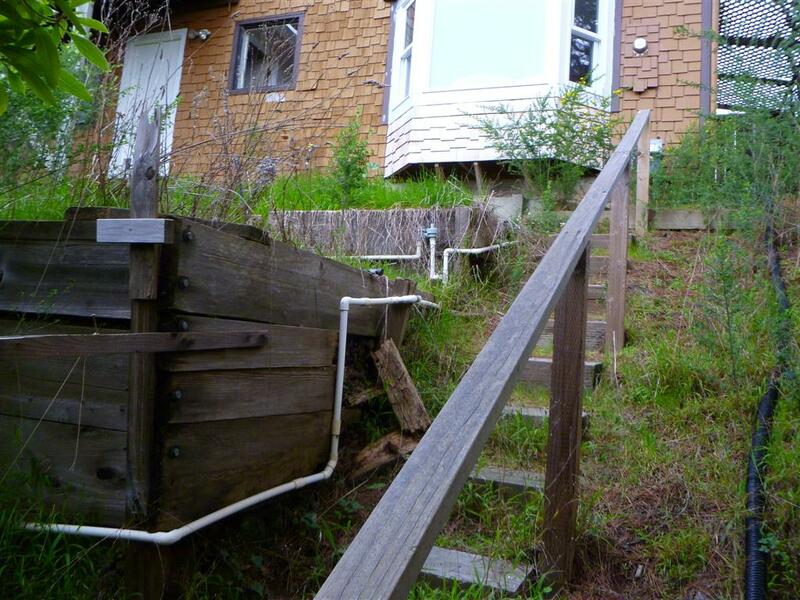 Posts poorly set, will result in a structurally unstable fence, that will likely lean, or blow over in a storm. 3- Ugly Styling: Some fences are just downright ugly. Take a look in your neighborhood to find fences that have a good style of construction and a good aesthetic. 4- Poor fastening: screws or nails can be used for fastening the fence depending on application. Nails and screws should be galvanized at a minimum to prevent excessive rust and weathering; on high quality fencing stainless steel screws or nails should be used. Common Mistakes: Don’t Paint that Concrete! It might seem like a good idea, but painting concrete rarely turns out well. From time to time I see concrete walkways or driveways that have been painted over. Painting can make an old outdoor concrete surface look new for a while, but the drawbacks are numerous. Painted concrete chips and fades considerably, almost guaranteeing that in a couple of years that nice consistent looking surface is going to be faded, stained, and flaking. Painting concrete also usually reduces the roughness of the surface, making it more likely someone will slip on the smooth surface when wet. In addition to these draw backs, because it’s not done very often, painted concrete often looks strange in the landscape. 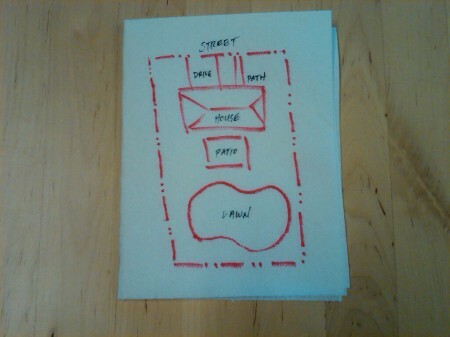 Unless an earth-tone is selected, the color often stands looking strange in the context of the neighborhood. Alternatives to painting are replacing the existing concrete with new colored concrete. Or, if the concrete is in good shape, there are specialized concrete stains available that can add color while not flaking or reducing traction on the material. 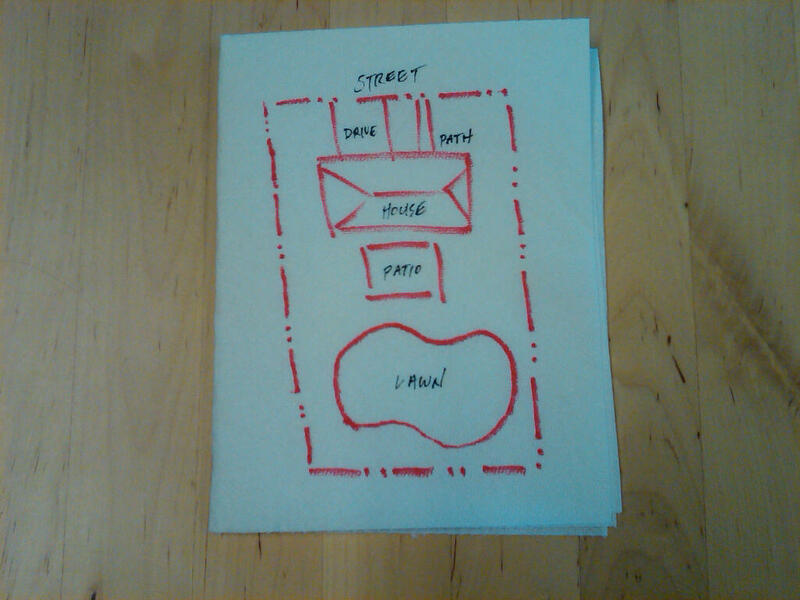 In posts this week we are going to focus on some common detailing mistakes made by homeowners and professionals alike in residential landscaping. Some of these are little things, some are major errors, but all are good things to be aware of when working on landscape projects. This is a common problem we see in residential landscape projects, planting too densely or not realizing the mature size of plantings being installed. To a certain degree this can be stylistic and subjective, some people prefer dense plantings, but at times it can look downright comical. Often wanting things to look good right away, plants are planted too close for their mature sizes. Also, frequently shrubs are planted too close together. For example an Angel’s Trumpet is planted 2.5′ away from a Butterfly Bush, both of which can grow to 6’x6′ in size. The most important thing is to remember to balance the immediate impact of plantings with their more mature look in 2-3 years. 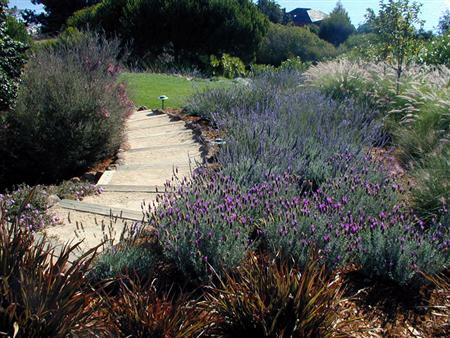 Dense plantings aren’t always a problem- with these Lavender and grasses, tighter groups are desirable for distinct massings. Notice the same planting about 18 months before, when the plantings had first gone in. The Lavender here is planted between 2-3′ apart, but just coming out of the container the planting still looks insignificant. These ornamental grasses and New Zealand Flaxes are another example of density used properly. Problems can arise when larger shrubs with courser texture are planted in the same way.